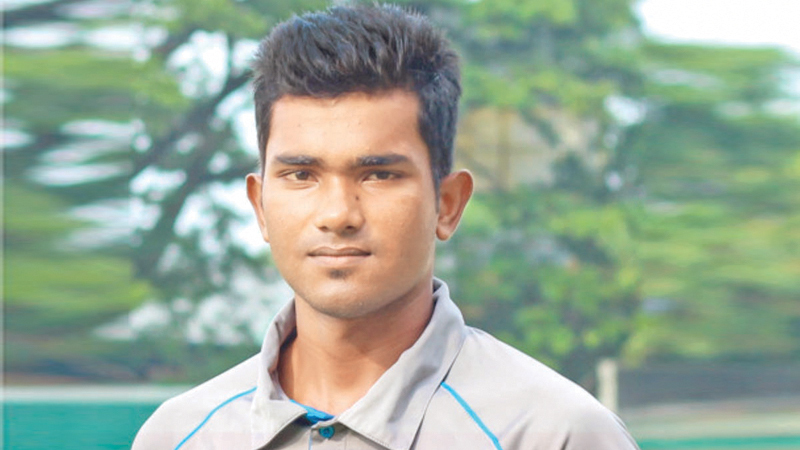 Dilwin Mendis Moratuwa Sports Special Corr. Dharmasoka College, Ambalangoda crushed their Arch Rivals Devananda College, Ambalangoda by a massive 240 runs and home for tea in their inter school 52nd Big Match worked off at De Soysa Stadium, Moratuwa. Now the tally stands at Sokians 13 and Devananda 1 and the other 38 encounters have ended in tame draws. Commencing the day two with a lead of 95 runs on first essay Sokians declared at 163 for 8 with Sena Deshai and Lohan de Soysa scoring 47 and 39 runs respectively and Chamindu Anushka had a good spell of bowling with 7 for 29. Set to make 259 runs for an out right victory Devananda were bundled out for a paltry 18 runs with skipper Dinuka Dilshan with a hostile bowling spell of 7 for 12 and Akila Mendis captured 3 for 6 and the game ended at 2.40 p.m.
Dinuka had a fine match bag of 9 for 39 and carried away the Man of the Match award and for Devananda Chamindu Anushka had a match bag of 12 for 81. This is the lowest ever score recorded in a big match since 1951 in this ground. The then Chief Justice of Ceylon Sir Allan Rose declared opened the De Soysa Park in 1951 and it was converted to Tyronne Fernando Stadium in 1979 the 67th Test venue of the world when former president J. R. Jayawardene declared opened the ground.